Elbow pasta and beef in a savory cheese sauce. 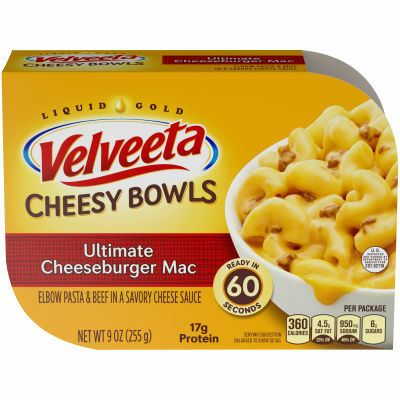 Treat yourself to one of the Velveeta Cheesy Bowls! Made with pasta, real meat, premium seasonings and the Liquid Gold of Velveeta Cheese Sauce. Enjoy the one-of-a-kind taste of Velveeta in a microwaveable single-serve dish!